Bharatiya Janata Party (BJP) has taken over the title from Manikchand Group's Vimal Paan Masala for being the number one advertiser on TV. 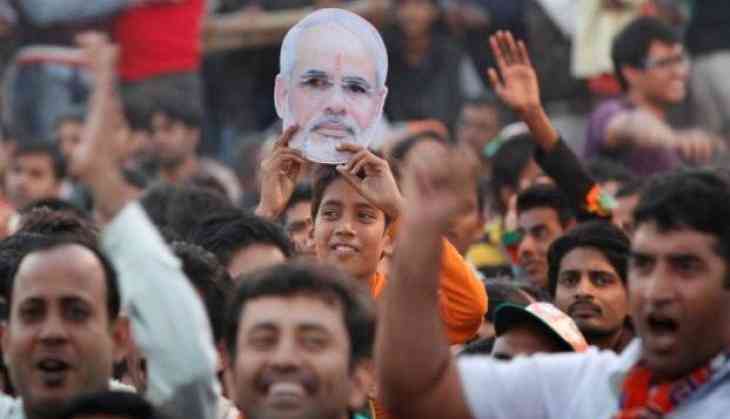 Ahead the 2019 general election, the current Indian ruling party has overthrown the leading streaming player like Netflix and e-commerce giant Amazon India. Citing the latest data from the Broadcast Audience Research Council (BARC), The Economic Times reported today that BJP beat Vimal Pan Masala in the week ending 16 November, and is ahead of major companies like Amazon and Hindustan Lever. BJP, which was in the second position in the preceding week, is now ranked number one across all channels, according to the report. The Congress Party does not feature among the top 10 advertisers. 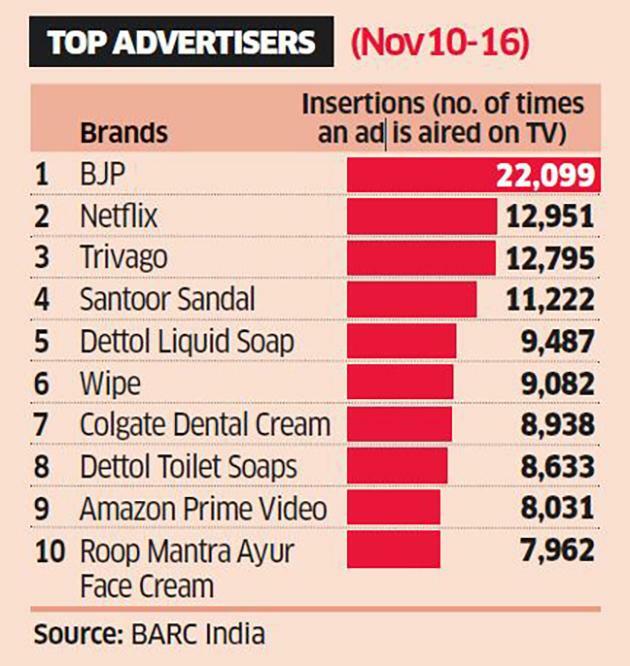 The top ten advertisers, according to the report, are: BJP, Netflix, Trivago, Santoor Sandal, Dettol Liquid, Soap, Wipe, Colgate Dental Cream, Dettol Toilet Soaps, Amazon Prime Video and Roop Mantra Ayur Face Cream. The BJP's ad aired on television 22,099 times from November 10-16 followed by Netflix, a distant second at 12,951 times, the report said. During the election season, there is a huge jump seen in the advertising of the political parties. The parties hire large creative and media agencies during campaigns during general elections.